We will be picking 5 winners from the photos shared. 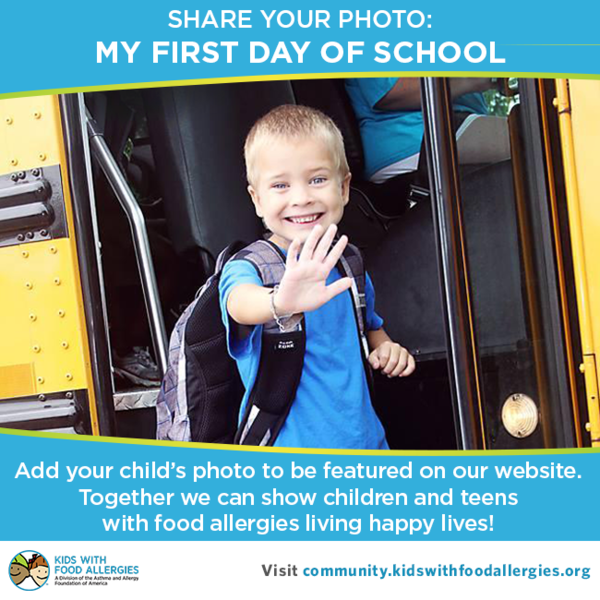 Each winner will receive a copy of Kyle Dine's brand new Kyle Dine and Friends allergy awareness video and a copy of Everyday Cool with Food Allergies book by Michael Pistiner, MD, MSc. We will be selecting the five lucky winners from all photos submitted before September 25, 2015. 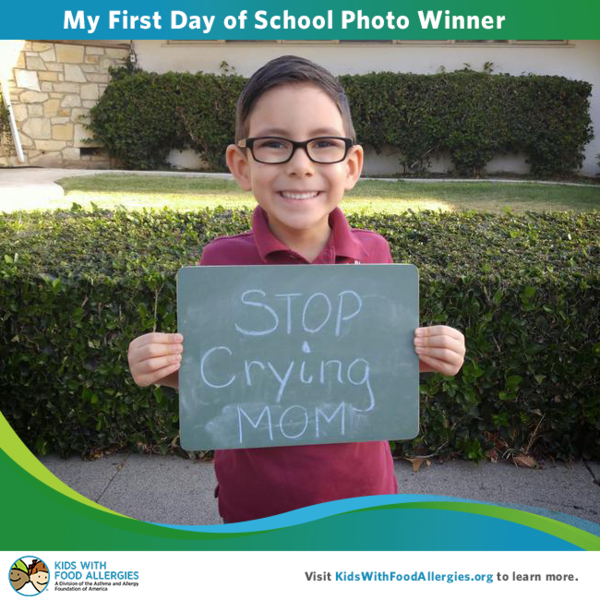 Share yours today or on your child's first day of school. You can check out the winners already selected. Your child could be next!